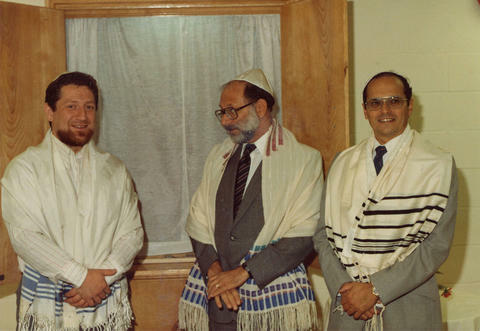 1 photograph : colour print ; 5" x 3.5"
Photograph depicts Cantor Robert Edel, Arthur Guttman, and Bill Gruenthal dressed in tallit and kippah. Written on verso: Oct. 14/82. March 29/84.